Over the last few centuries, pets, and more specifically dogs, have become important members of families here in the states and overseas. Japan is no exception. Pets in Japan even have their own social networks for finding other pets with the same car chasing, furniture scratching habits. Marco Morosini is an Italian artist and designer who has taken it upon himself to cater to the posh dogs that require top-of-the-line living quarters to meet their ever increasing standards. 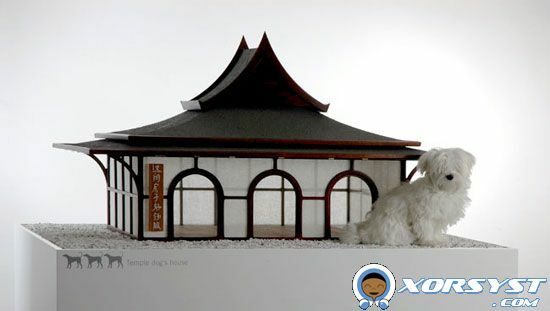 The Japanese style house seen above is just one of Morosini’s creations which he has named “Dog is a God”. He even went as far as to make the house out of the same materials traditional houses were made with in Japan. Could you ever see yourself catering to your dog or pet like this? For more of Morosini’s posh dog creations, check out his exclusive dog houses.